Our cohesive team of registered specialists and general dentists can offer you optimal implant care in one location. What Are Conventional Dental Implants? Conventional dental implants are used to replace missing teeth or teeth that cannot be saved by any other means. They look and feel like your own teeth. Dental implants have been used since the mid-1960s to replace teeth permanently. 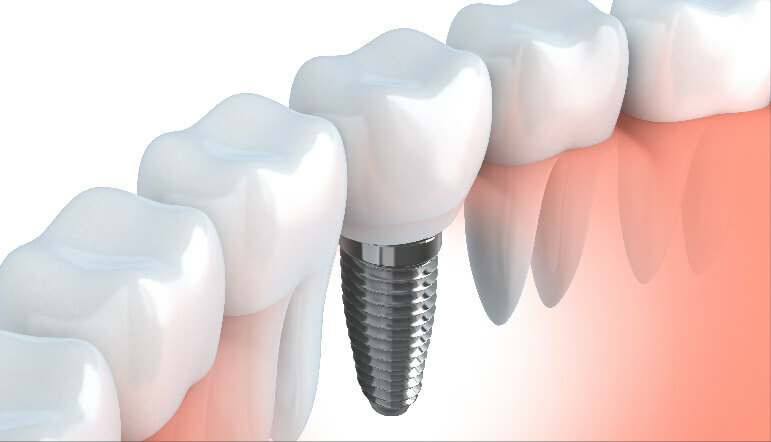 All dental implants have three main components: a titanium screw fixture (which is placed into the jawbone), an abutment (which is attached to the screw), and a crown that is either all ceramic or porcelain fused to precious metal (which is placed on the abutment). We can use one implant to replace a single missing tooth, or we can use multiple implants to replace a whole missing arch of teeth. In instances where we find the bone volume or quality to be inadequate, we carry out a routine procedure called bone grafting, or a sinus lift if there is not enough bone in the upper jaw. It is good to keep in mind that most dentists would recommend keeping your own natural teeth rather than extraction and implantation, but in the cases where this is not possible, dental implants can provide patients with a functional and aesthetically pleasing smile. Below are before and after images of a conventional implant-retained ceramic crown which is used to replace one tooth and a conventional implant-retained ceramic bridge which is used to replace multiple teeth. Who Are Conventional Implants Suitable for? Before you receive dental implants, your suitability for the procedure will be assessed by one of our clinicians. A variety of factors determine whether or not you are a suitable candidate for conventional implants. These include adequate bone (in terms of density and volume – though a deficiency can be overcome with bone grafting), good oral hygiene and dental health, and whether you meet the general medical requirements. Before a conventional implant can be placed you start with an empty space left by a missing tooth, or if there is a damaged tooth it will need to be removed. The first stage of the procedure involves placing a small titanium screw into your jawbone. Titanium is a highly biocompatible material and therefore integrates with the bone tissue to form a new, stable tooth “root”. 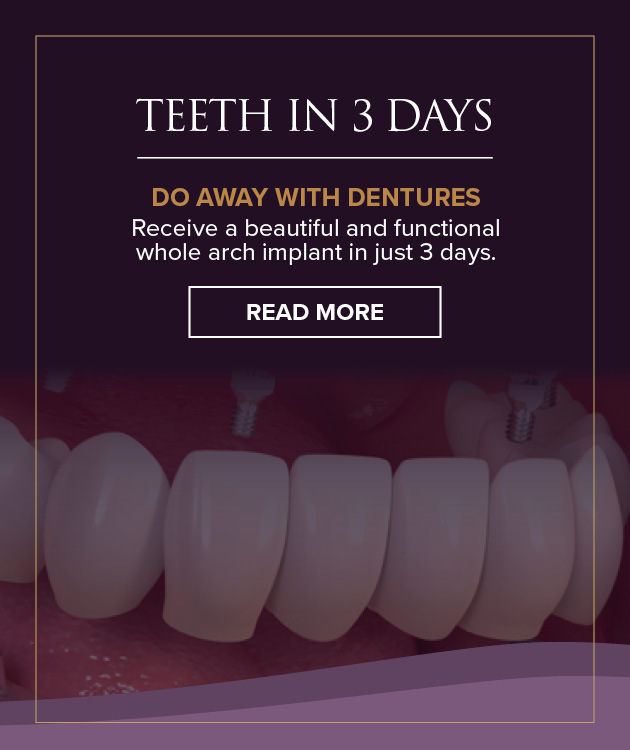 The implant takes three to six months to fuse with the bone and form a solid structure. When the bone has healed around the implant, an abutment is attached to the implant fixture. This is a ceramic or titanium component that ensures a secure fit between the dental implant and the crown. Once the dental implant and the abutment are in place, we fit the porcelain crown up to the edge of the gum line to replicate a natural tooth. The dental implant is now complete. In most cases, it is virtually impossible to see the difference between your own natural teeth and the new implant tooth. When there is low bone density and/or inadequate bone volume, a bone graft will be necessary in preparation for a dental implant. Bone grafting is a straightforward procedure in which bone filler is placed around the implant, allowing and encouraging your own bone to grow into that area. Not every patient will require bone grafting – only those with low bone density/volume. To determine this, some patients will require a 3D CT scan to ascertain their bone quality and volume. For more information, visit our bone grafting for implants page. A sinus lift (also known as sinus augmentation or sinus grafting) is a procedure that adds bone to the upper jaw near the molars and premolars, between the jaw and the auxiliary sinuses on either side of the nose. The sinus membrane is “lifted” to make room for bone filler to be placed. Like a bone graft, a sinus lift is not necessary for everyone – it is only for patients who do not have enough bone height in the upper jaw, or when the sinuses are too close to the jaw to fit an implant. The dental implant procedure can be performed either under local anaesthetic in the dental surgery or under general anaesthetic as day surgery in a hospital. In dental implant procedures done under local anaesthetic, the area where the implant is to be placed is completely numbed. You will be awake for the procedure and aware of what is happening, and you may feel some pressure around the area. After your implant procedure you may feel sore for a few days. This is normal and you can manage the pain with painkillers if necessary. It is important that you maintain regular dental check-ups every 6 months afterwards to safeguard the health of your teeth and gums. How Long do Conventional Implants Last? When well maintained with proper cleaning at home as well as professional dental cleaning, conventional implants can be expected to last for 10 to 15 years. 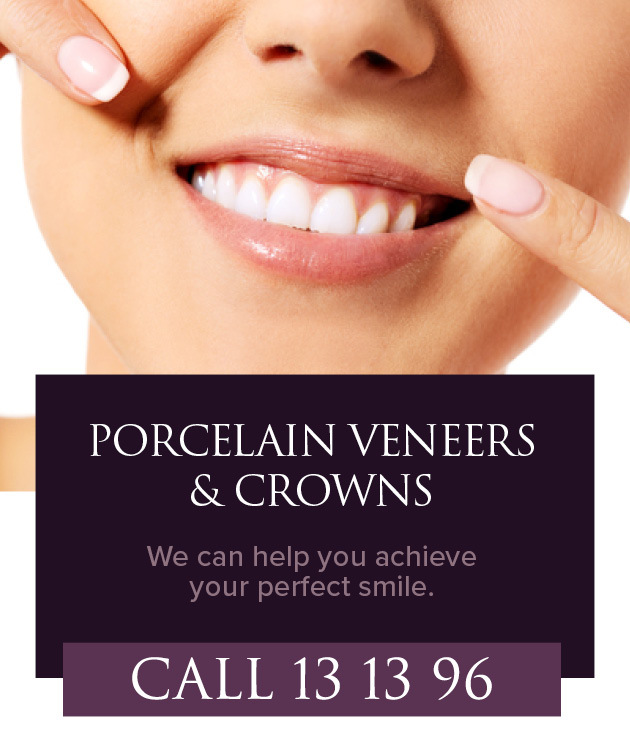 However, as with crowns, bridges and fillings, they may need to be replaced at some point. Like with your natural teeth, implants should be brushed and flossed every day. Maintaining regular dental appointments will also allow your dentist to make sure your teeth remain healthy and your implants last for years. Your specialist will advise you of any specific care instructions after your implant procedure. There are a number of different costs involved in conventional implants. These include the cost of any extraction, of your replacement denture or bridge while your implant is being prepared, and of the implant procedure itself (at Smile Solutions this will be carried out by a registered specialist). Your clinician should be able to give you an estimate of costs based on your individual treatment plan. 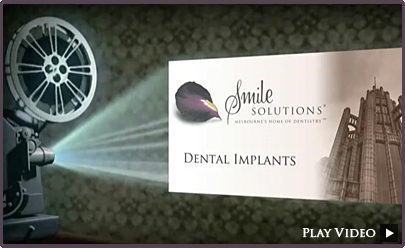 At Smile Solutions we provide this estimate during the consultation that precedes your implant treatment. Implant dentistry demands a team approach, and at Smile Solutions our cohesive team of registered specialists and general dentists is equipped to deliver optimal implant care in one location. Our registered oral & maxillofacial surgeons and specialist periodontists perform the initial surgical component of the procedure. Following a period of fusion between bone and screw, a specialist prosthodontist or an experienced general dentist will fit the crown to the implant.